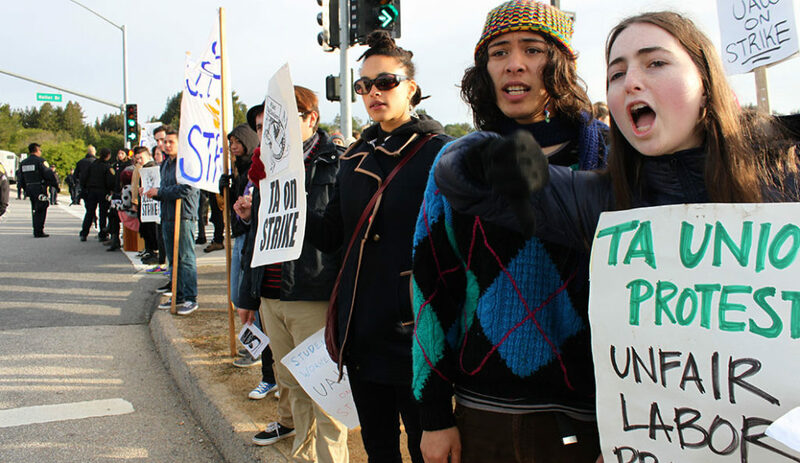 2014 was a year to remember at UCSC — from student protests and rallies to major news in the fight for a critical race and ethnic Studies major, BDS divestment and more. Below are 2014’s top stories from us! What defined 2014 for you? Students occupied Hahn Student Services in protest of Janet Napolitano’s appointment as UC President. Around 60 people joined the rally organized by student group Autonomous Students as the protesters traveled from Quarry Plaza to McHenry Library, and ultimately ended at Hahn. Photo by Jessie Case. Following demonstrations at UC Berkeley during UC President Janet Napolitano’s tour of the 10 UC campuses, UC Santa Cruz students organized a protest and subsequent occupation of Hahn Student Services, calling for Napolitano’s resignation from the UC. Students took issue with what they attributed as the increased “privatization of the UC,” citing the increased workload demand of UC staff for which they receive the same pay, or less. Strikers and occupiers also rallied around issues faced by undocumented students and the negotiations between UC administration and the United Auto Workers Local 2865 — which represents teaching assistants and tutors — and the American Federation of State, County and Municipal Employees, which represents UC staff. The West Entrance was closed around 11 a.m. when the protesters from the East Entrance marched over to join forces. Photo by Katie Small. Within the first two and a half hours of demonstrations, 20 UCSC undergraduate and graduate students were arrested during a strike that shut down campus for two days of the first week of the spring 2014 quarter. Two more students were arrested the following day, for a total of 22 arrests. The United Auto Workers (UAW) Local 2865 union, comprised of undergraduate and graduate teaching assistants and tutors, rallied on both days to protest unfair labor practices and intimidation tactics exhibited by campus administration. After months of negotiations between the UAW and administration, a strike planned for June was averted after the two parties agreed to settle around issues of class size, workload intensity, undocumented student support and wages, albeit without the dismissal of charges pressed against the 22 arrested students. 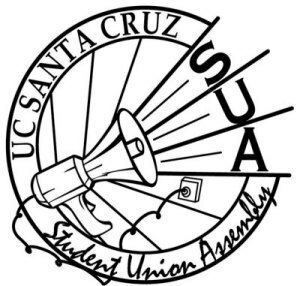 After passing during a May 28 SUA meeting, the University Socially Responsible Investment Resolution (USRIR), a bill that calls for UC divestment from five companies allegedly “complicit in the severe violation of Palestinian human rights,” was overturned by SUA Chair Shaz Umer. Following a 17-day review that began on May 30, Umer issued a statement suggesting the bill’s passage was invalid because the wrong bylaw had been suspended in attempt to lower the threshold for passage from a two-third majority to a simple majority. All parents enrolling children with Early Education Services for the next 12 months will be provided a copy of the findings from the investigation conducted by Community Care Licensing, which included the allegation against the employee, two citations and the plan of corrections. These notices from CCL were to remain on the doors for 30 days. These photos were taken on June 3. Photo by Jayden Norris. UCSC administration ordered a full program review of UC Santa Cruz’s Early Education Services (EES), the campus’s child day care program after allegations of “lewd and lascivious acts” were made against a former male EES employee. The EES teacher was terminated for allegedly engaging in “conduct which is incompatible with being present in a licensed child care facility based on allegations of inappropriate touching,” according to an email sent by Executive Vice Chancellor Alison Galloway to families that use EES. Writer and philosopher Frantz Fanon’s works are influential in post-colonial studies and critical theory. His book “Black Skin, White Masks” is a study of the sociological and psychological impact of racism and colonialism and is assigned reading in some CRES classes. Illustration by Sarah Williams. After more than 40 years of rallies, marches, hunger strikes and numerous proposals advocating for the creation of an ethnic studies major, students can declare a major in critical race and ethnic studies as of fall 2014. The major, which will be administered by the humanities division, is an interdisciplinary program building off of existing classes in philosophy, anthropology, feminist studies, literature, education, psychology, sociology, film and digital media, history of art and visual culture and Latin American and Latino Studies as well as new CRES course offerings. CRES will focus primarily on how categories of race and ethnicity are constructed and exploited by highlighting historical and contemporary power dynamics. For winter 2015, current course offerings include CRES 100: Comparative Theories of Race and Ethnicity and CRES 112: Chicana/o History and Memory. 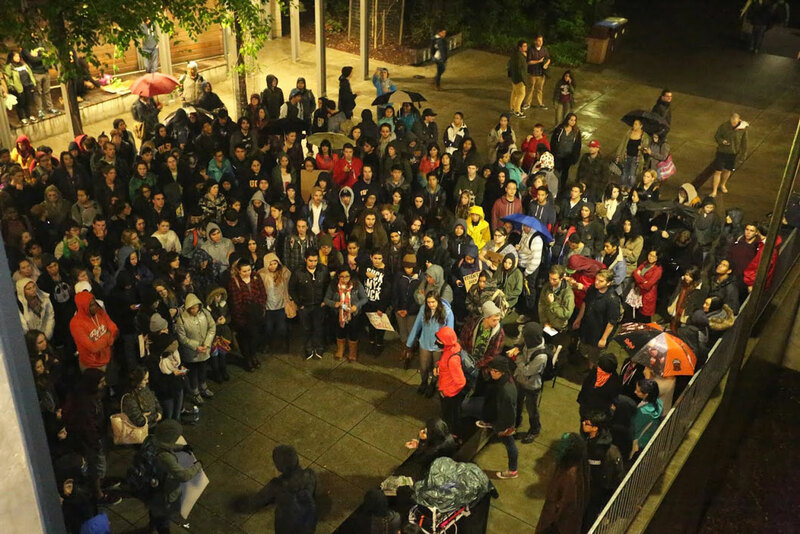 About 100 students left Santa Cruz on two buses on Nov. 19 to join the community members and students from other UC campuses at UC San Francisco. Protesters hoped to stop the meeting by blocking entrances to the building. Photo by Stephen De Ropp. UC Regents voted 7-2 in favor of UC President Janet Napolitano’s plan to increase tuition by a maximum of 5 percent for each of the next five years, with a guaranteed 5 percent for the 2015-16 academic year. Hundreds of UC students, staff and faculty across the 10 UC campuses rallied to prevent and oppose the plan. Students protest tuition hikes outside of Humanities 2. Photo by Stephen De Ropp. 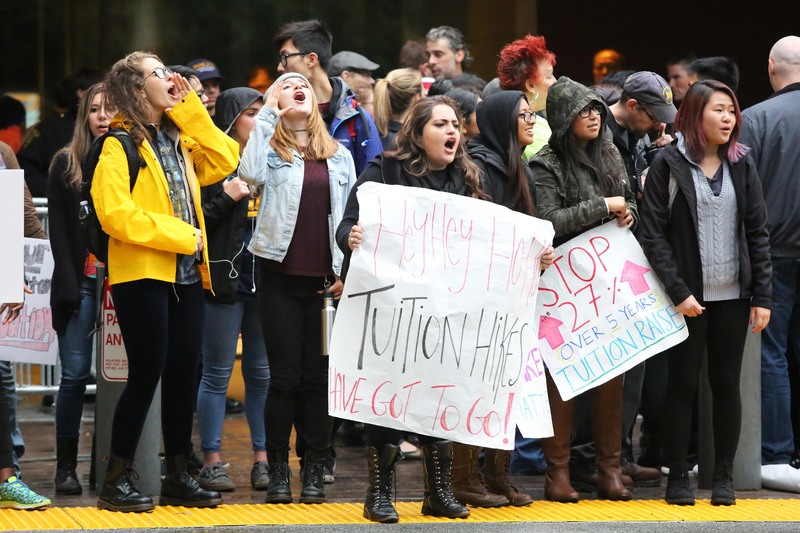 Following the UC Regents’ motion to approve a series of tuition increases for the next five years, undergraduate and graduate students rallied in Quarry Plaza to protest the decision. What followed was a march to the Humanities 2 building and an occupation that lasted for six days, ending just before Thanksgiving break. 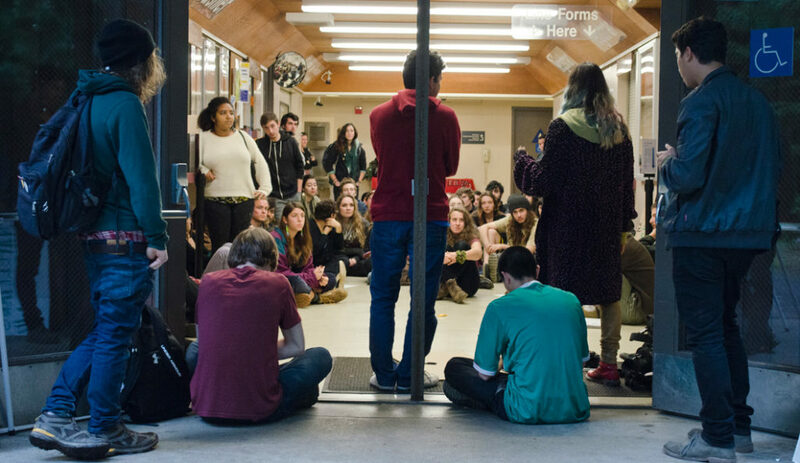 Participants demanded an end to tuition hikes while hosting assembly meetings and workshops within the building, issuing a series of communiqués and developing plans to organize further demonstrations around campus, including a walk-out. Local musician Manh Tauper performs a song he dedicated to the 43 missing students. Photo by Camille Carrillo. 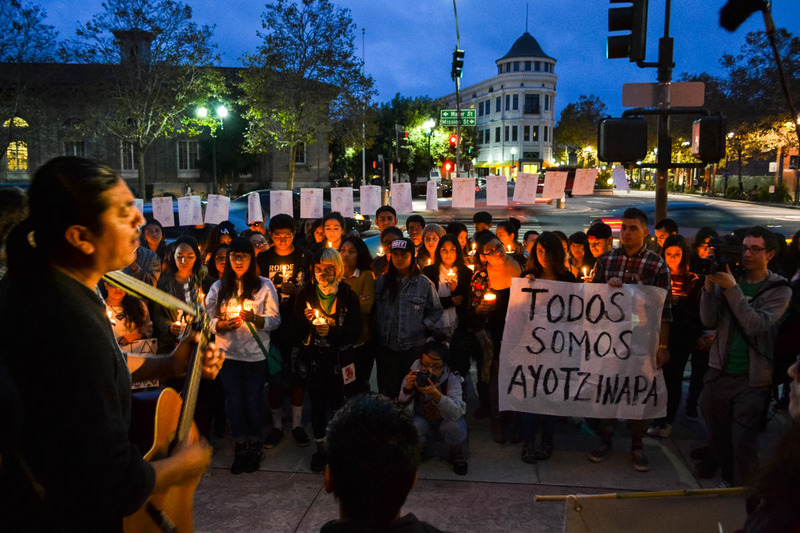 Beginning in November, numerous demonstrations were held on campus and in downtown Santa Cruz to call for the safe return of the 43 university students of Normalista Ayotzinapa who disappeared in Mexico. On Nov. 18, students and faculty held a workshop to discuss recent activism in Mexico and various historical student movements not only in Mexico but across Latin America. Following the non-indictments of the police officers who killed Michael Brown and Eric Garner, as well as the history of police violence toward the black community, students of the African/Black Student Alliance organized a series of demonstrations, including a vigil and a “die-in” on campus that culminated in shutting down Quarry Plaza for four and a half hours, the amount of time Brown’s body was left on a street in Ferguson before his body was moved. 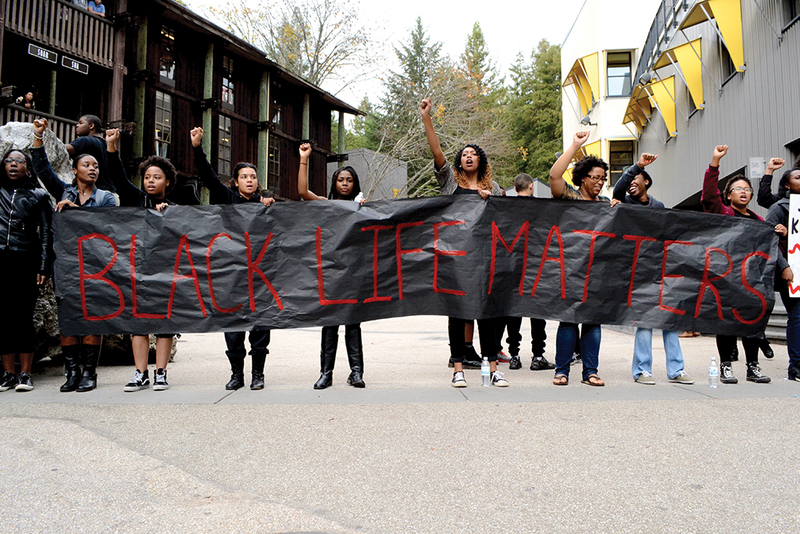 The demonstration followed weeks after Dr. Cornel West visited UCSC to discuss the issues surrounding Ferguson, racism and the media. What defined 2014 for you? Comment below!